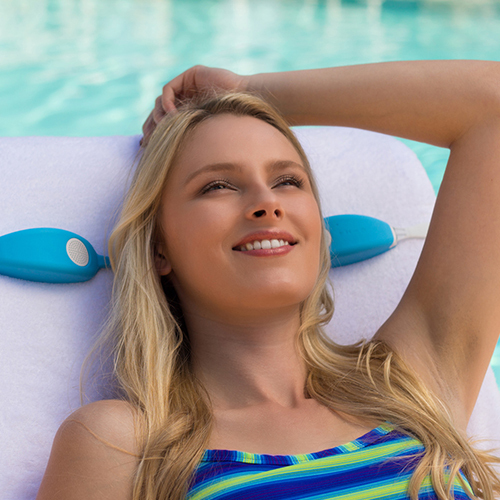 SunTunes™ is a Near-Ear Wireless PERSONAL Speaker. It immerses you into a soundscape that offers an audio experience that feels very personal, but without cutting off your surroundings. Convenient, comfortable & safer audio for people relaxing in a high back chair, or on the move doing light activities such as taking a walk or working around the house. 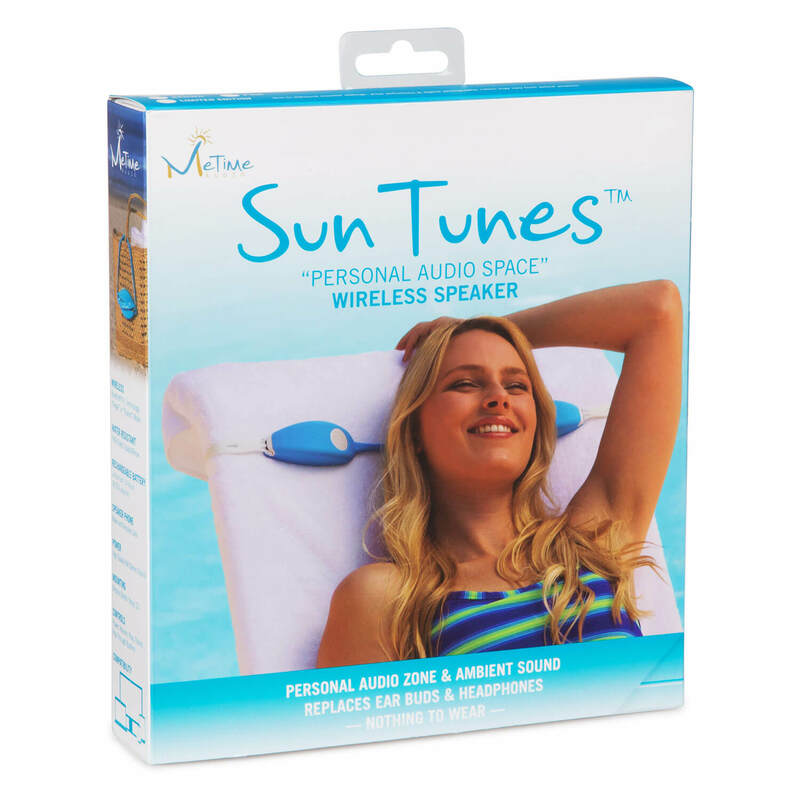 SunTunes™ is the perfect audio alternative if your ears need a break from wearing earbuds & headphones as they tend to become clammy & uncomfortable with long-term use, and can put you in danger by eliminating surrounding sounds. Larger portable speakers are difficult to travel with, and bother others near you in public settings. 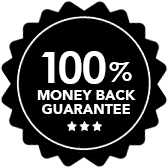 SunTunes™ Portable Bluetooth® Speakers are the perfect solution. 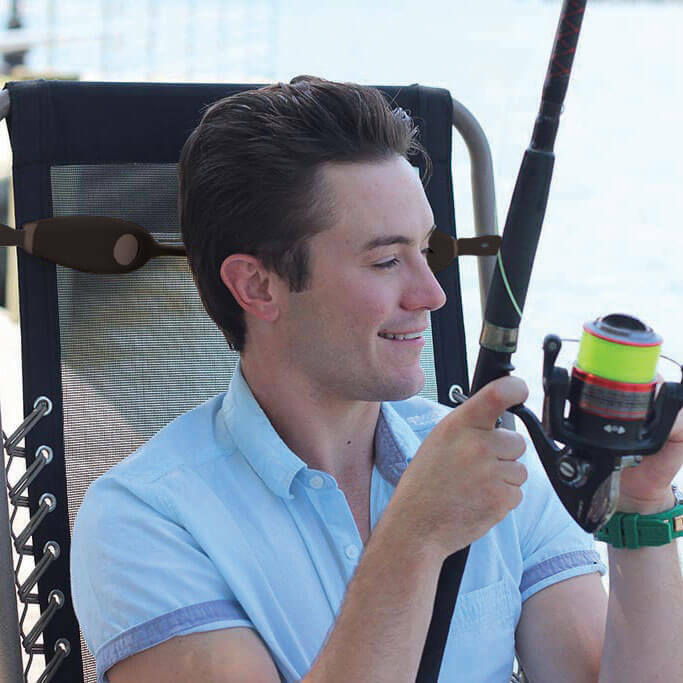 Attach to the backrest of a high back chair, pair to a Bluetooth® enabled device, lean back & enjoy private music, podcasts, audio books & more in a new way. 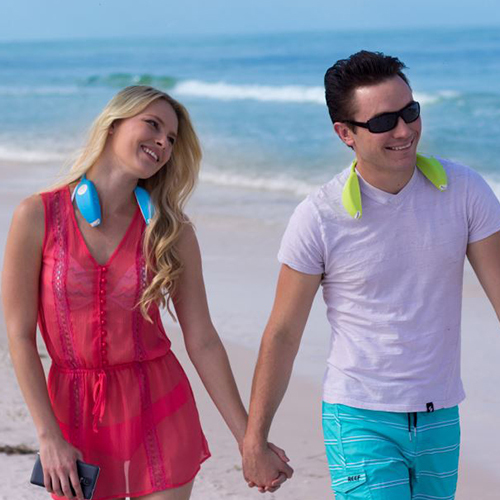 Freedom to get up & down from your chair without handling ear buds with oily, sandy fingers. No need to pull out ear buds just to have a conversation. No longer cut off from the world. Enjoy music, podcasts, audio books, etc. without losing focus of the environment. Stay alert & aware with kids near water, or from traffic when on a walk. 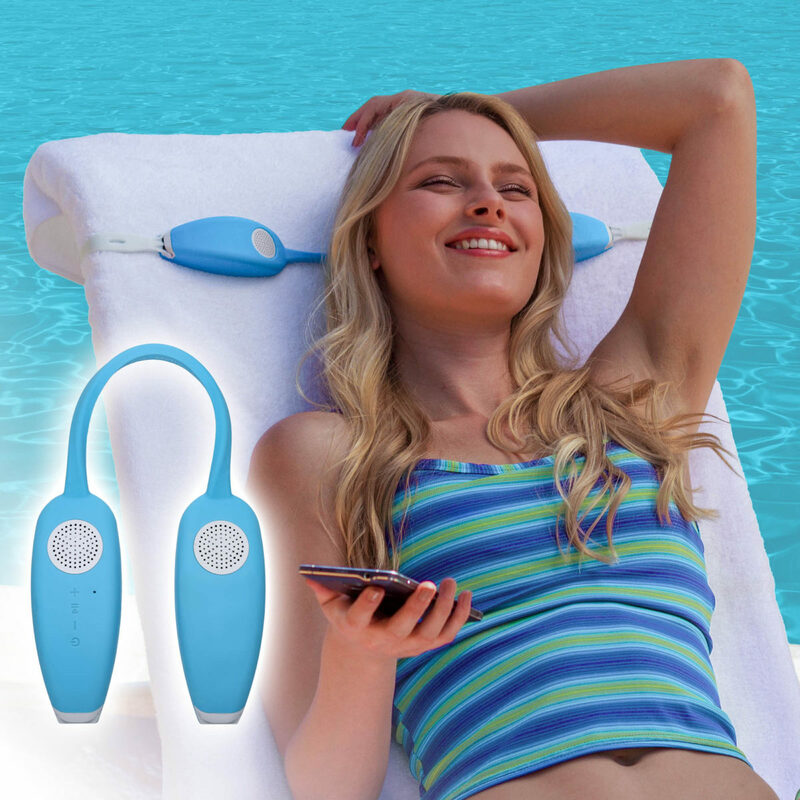 Enjoy sun & song without disturbing people next to you at the pool, beach, or on a cruise. Directional audio only you hear. Eliminates ear fatigue & that clammy effect from long term-use of wearable audio technologies. Integrate music to follow you anywhere. Sling it around your neck for light activities such as walks, chores around the house, cooking, studying, or working in the office. Gives your ears a break! Engineered to restrict output to safe decibel levels, which can be especially helpful to kids. 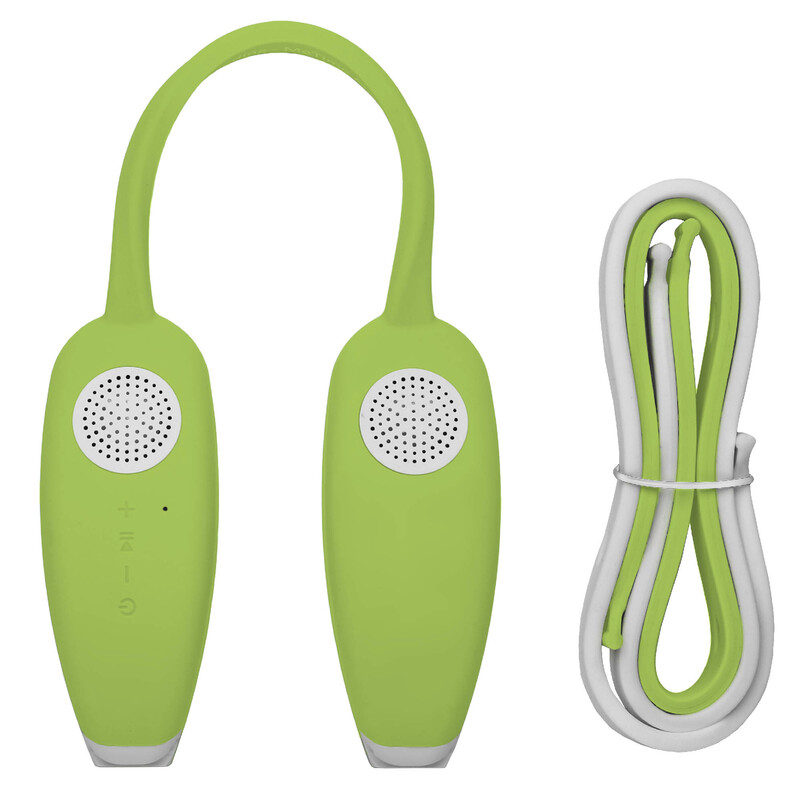 When on-the-go, pack ONE audio technology to enjoy both private and shared music! Folds into a compact design, perfect for packing. SunTunes™ Weight: 180g (without strap) or 6.3 oz. Strap Weight: 33g/1.1 oz. & 45g/1.5 oz. 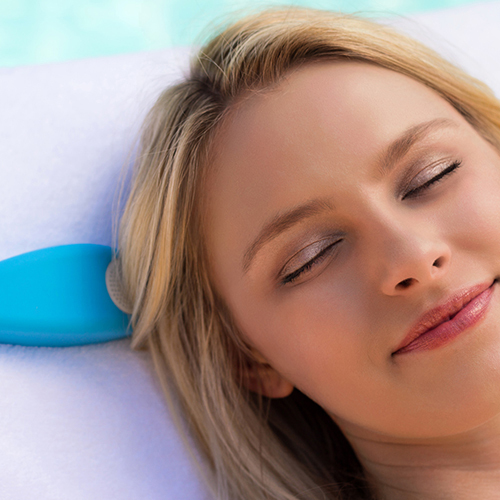 IPX6 Rated: SunTunes™ has a silicon skin that makes it water, sand and heat resistant. Long life rechargeable Lithium-ion battery lasts up to 14 hours (@50% volume) battery life between micro USB charges. Actual battery life will vary with use, settings and environmental conditions. Charge time: 4 hours based on charger. 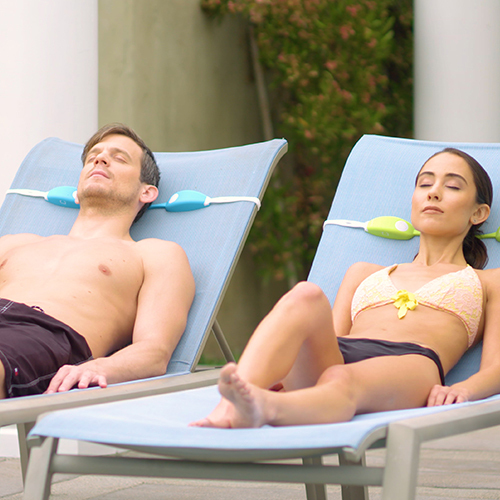 Recharge SunTunes™ with standard USB power sources. Bluetooth® 4.1 technology. Single or shared mode pairing capability. Pair a single SunTunes™ alone or sync two SunTunes™ together to a single mobile device, to stream music. Mobile range of play is up to 10 meters (30 feet). NFC enabled to assist with easy pairing (works with Android, Windows Phone, and BlackBerry 10). Tones and voice prompts provide power on and indicators to talk you through Bluetooth® pairing, making it simple. 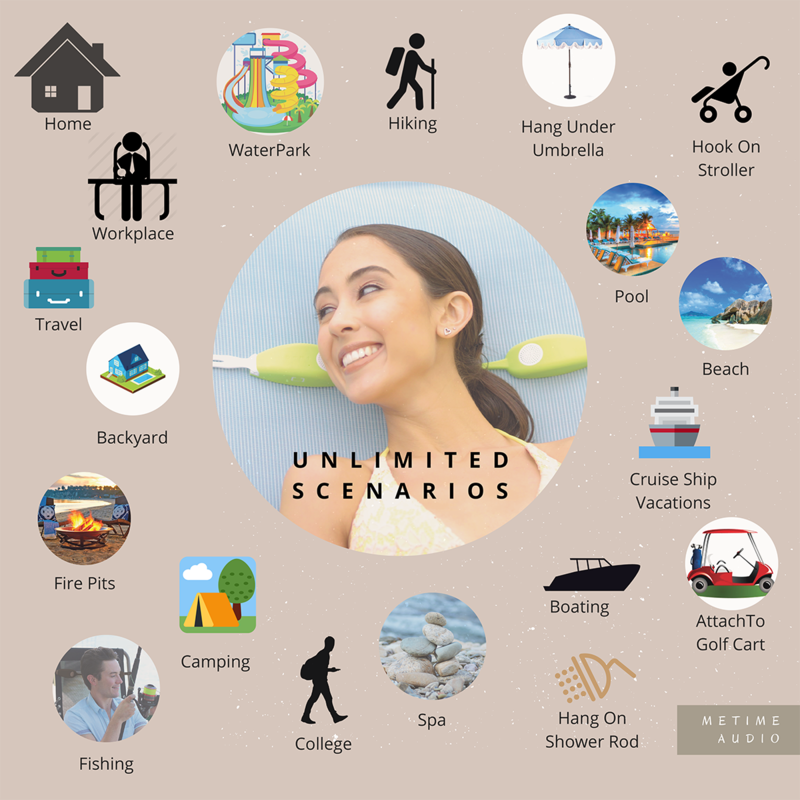 SunTunes™ remembers the 8 most recent devices you've used, so reconnecting is made easy. Wirelessly compatible with most mobile devices having Bluetooth® 4.1 technology – Smartphones, tablets and devices. Microphone incorporated for speakerphone functionality, allowing you to make and receive calls using phones that support Bluetooth® Hands-Free Profile (HFP1.5). 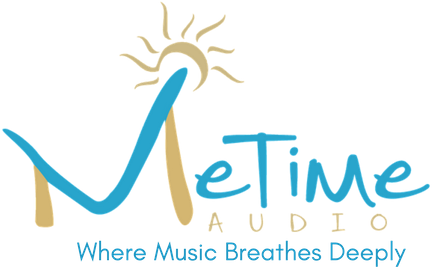 High quality stereo sound with ambient sound benefits. Adjustable volume allows you to select the level of audio output you want to hear, and the level of surrounding ambient input you want to hear to deliver directional, crisp and clean audio. Ear Safe™ decibel level at highest volume. 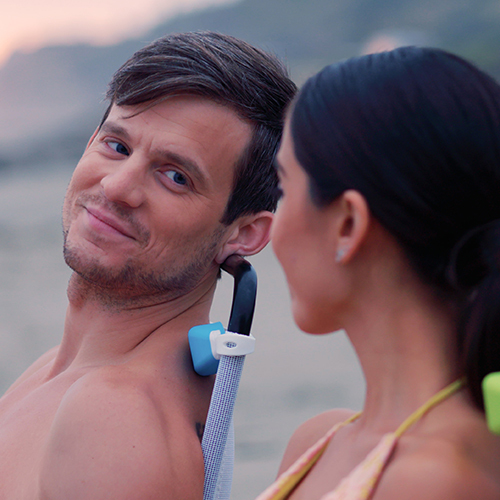 Easily mounts to the backrest of any high back beach, pool or any other leisure chair with the stretchable/adjustable silicone strap. 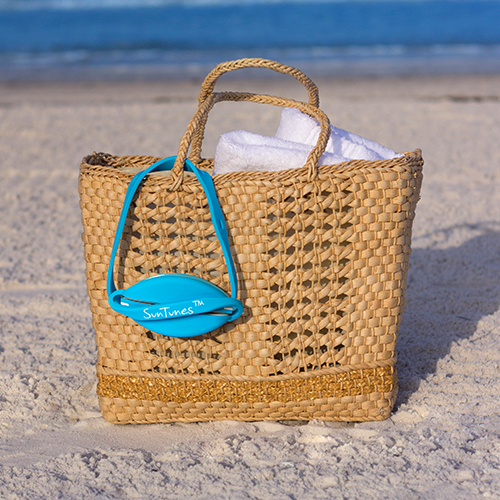 The silicone mounting strap slides on and off on each end to allow SunTunes to be used behind the head when sunbathing on a towel instead of a chair. Easy “no fuss” interface. Features power, volume, skip & last track, pause & play buttons. You control your playlist and other functions from your smartphone or other paired device. One SunTunes™, USB charging cable, User Manual, Quick Start Guide, two straps, one in matching SunTunes™ color and one in white. 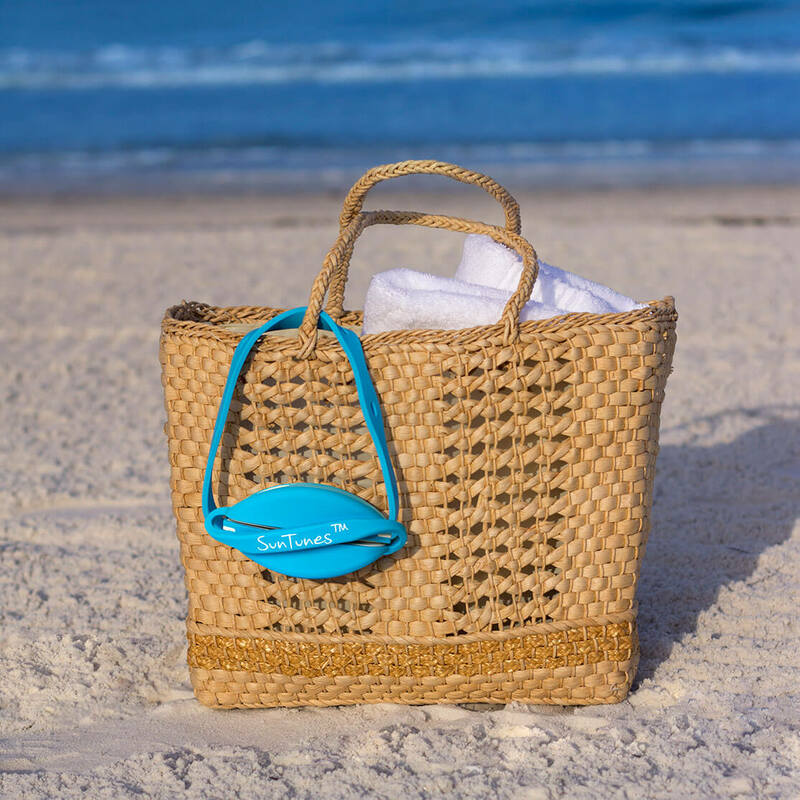 One strap is slightly longer to accommodate larger wooden chairs such as the Adirondack chair.